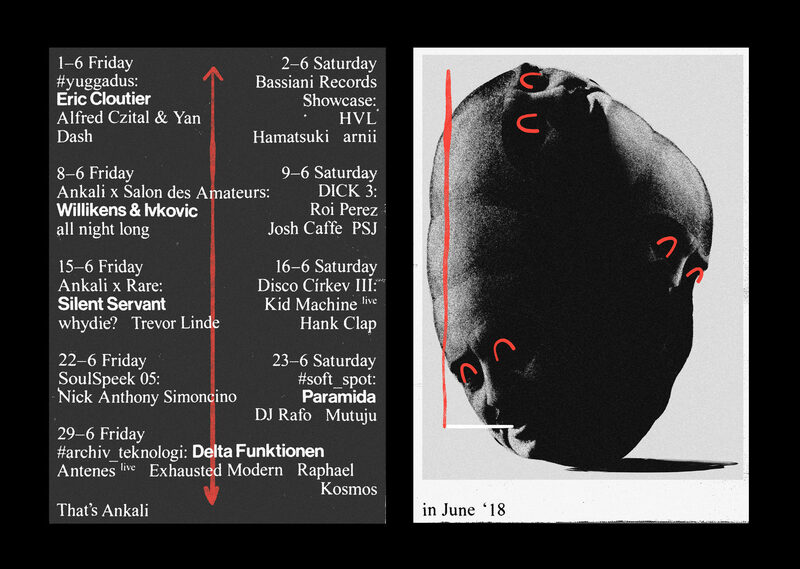 Silent Servant is coming back to town, this time to Ankali and with a backup by the ( RARE ) founder whydie? and Trevor Linde. Servant’s persona dates back to mid 00s when he became an integral part of Sandwell District, a Techno collective that outlined blueprints for today’s techno drawing from the heritage of electrified Industrial as well as dubious sounds of Basic Channel. Fast forward a decade and S.S. aka Juan Mendez is busier than ever running the prolific record label Jealous God and further reconfiguring techno by means of noise, darkwave and beyond. Warming up the floor will be Prague’s prime body music selector whydie? as well as Trevor Linde, resident of Polygon and an expert in shady visceral sounds.